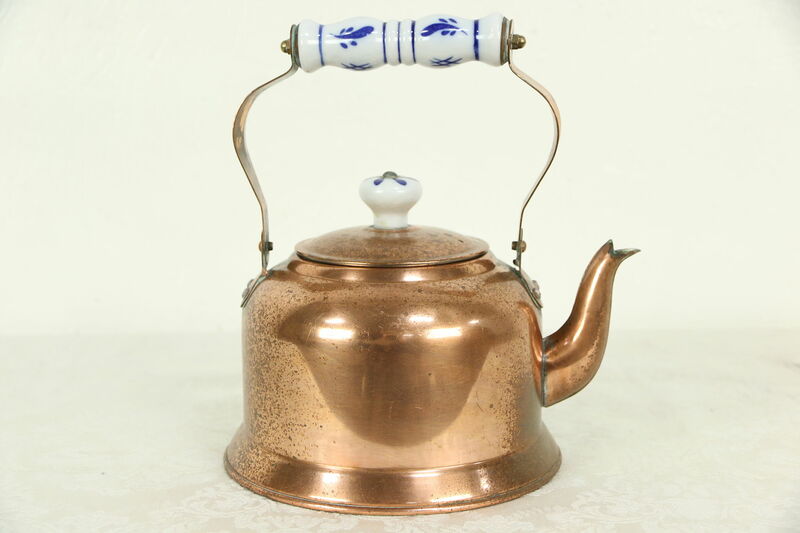 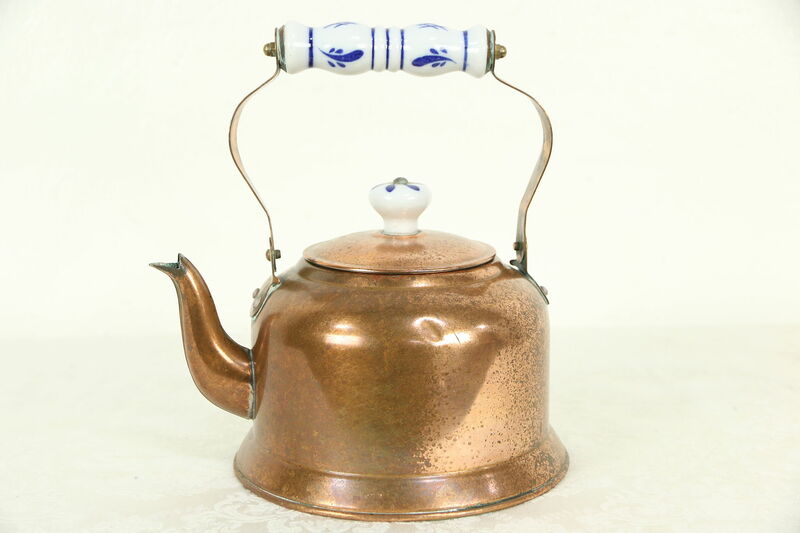 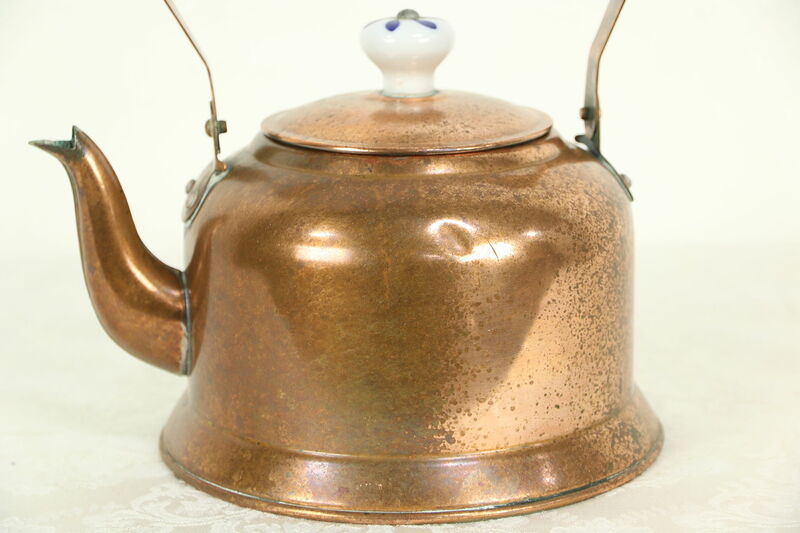 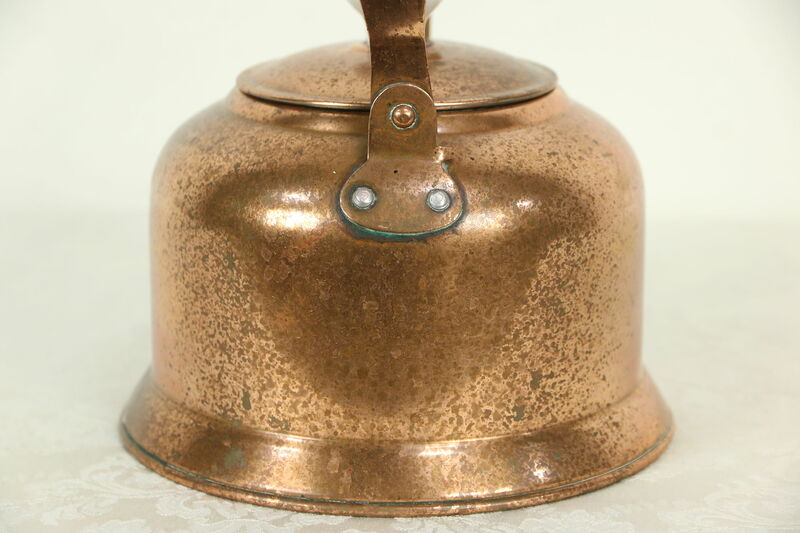 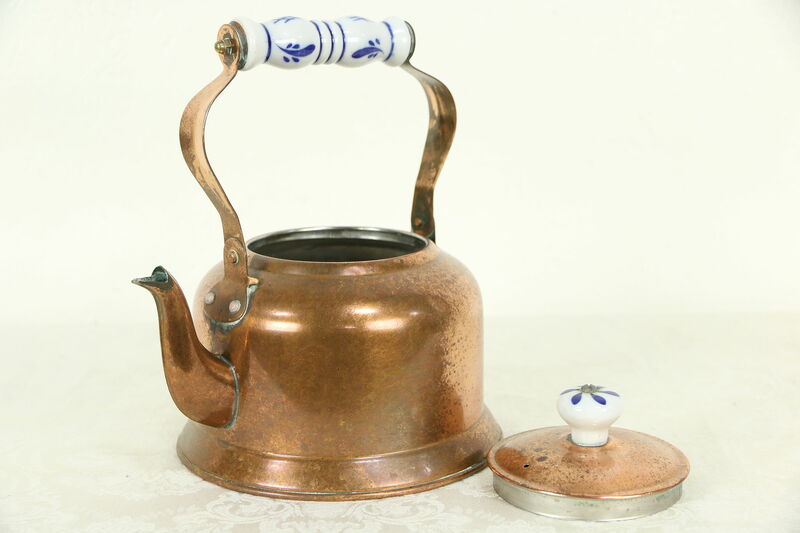 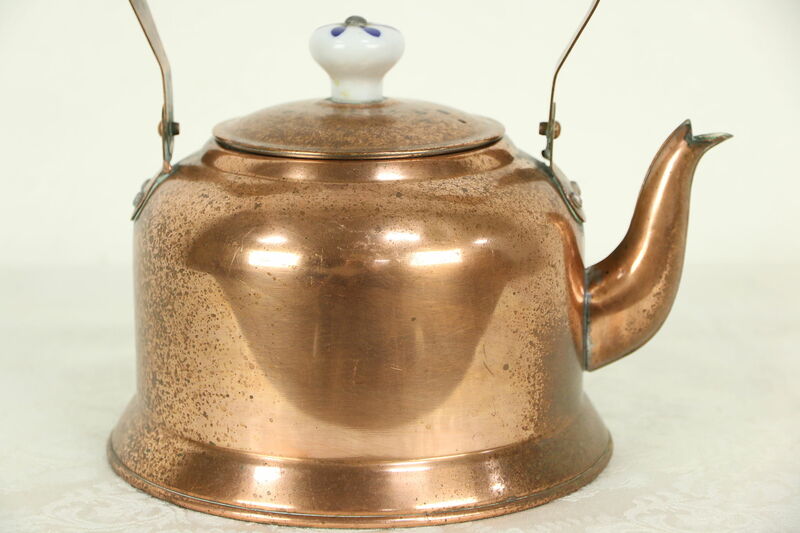 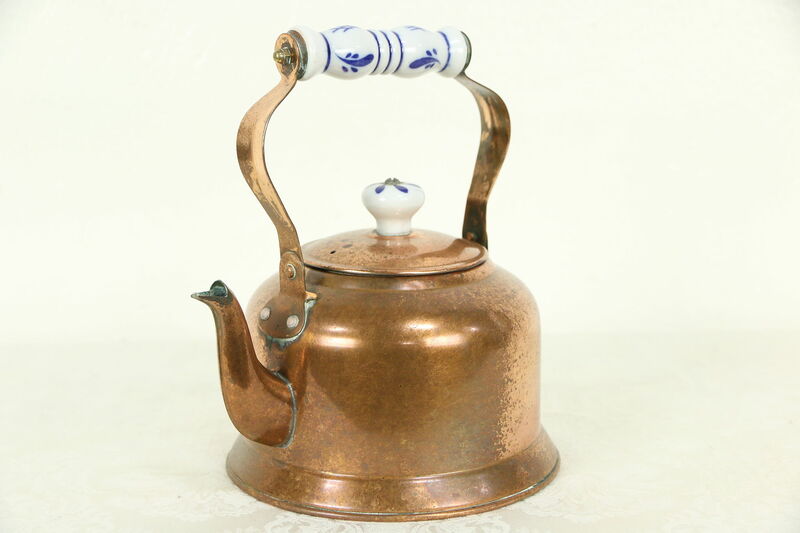 A solid copper straight sided tea kettle from the early 1900's from Holland has hand painted Delft porcelain handles. 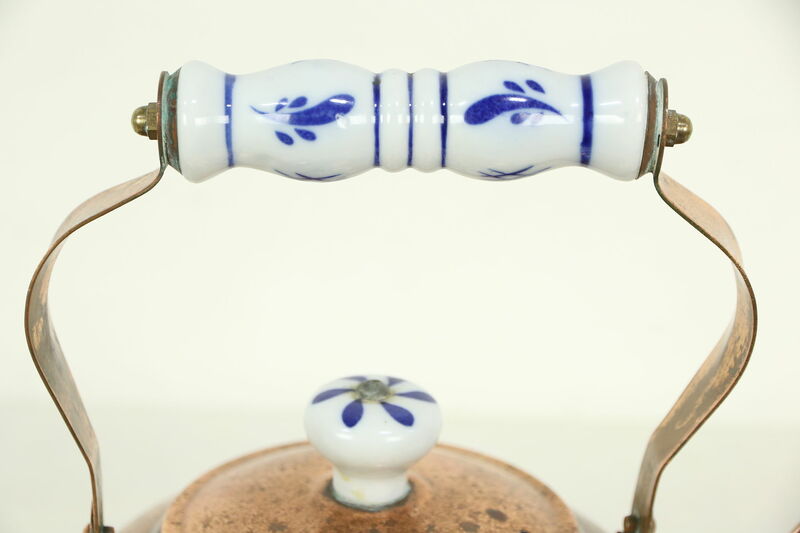 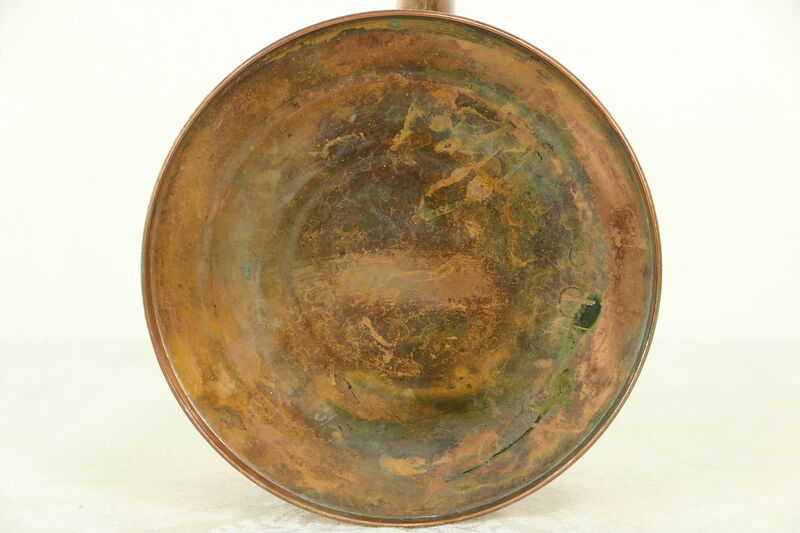 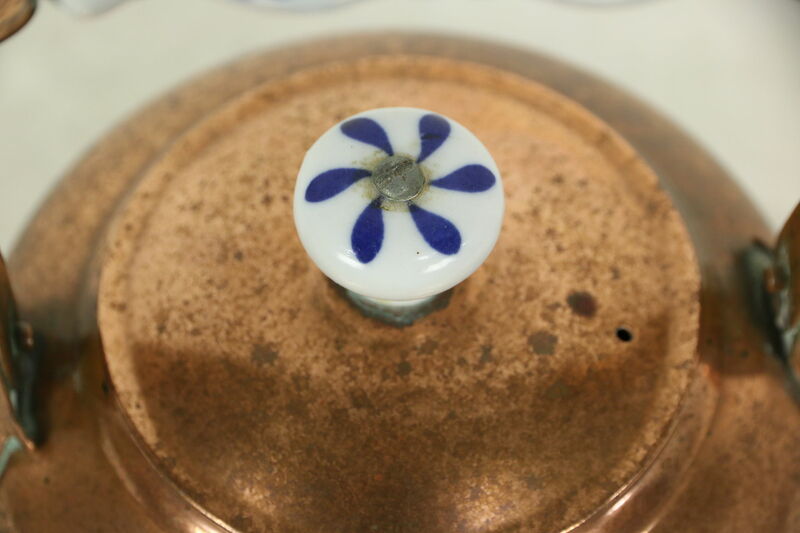 There are lots of dings and stains for antique character. 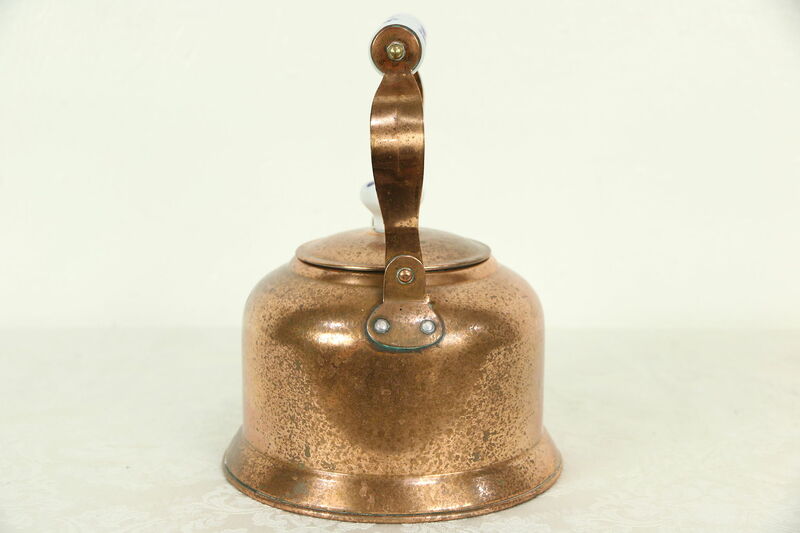 Size is 8 1/2" across and 9" tall with the handle upright.